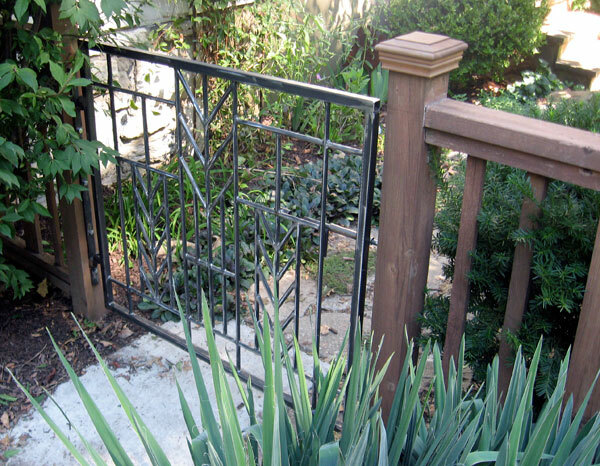 Today, I installed a pretty cool garden gate that I built. 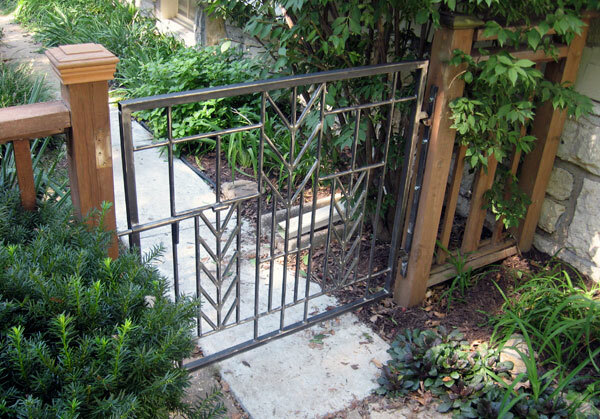 The client owns a Craftsman-style bungalow and wanted a gate that captured some of the lines and design of the house. She gave me a simple line drawing of the design she wished for. 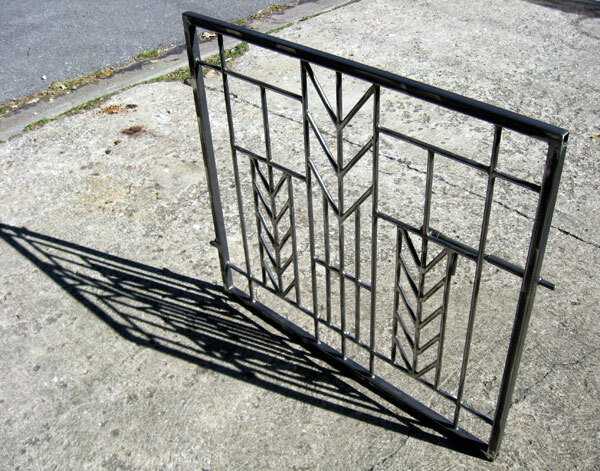 So, here is a look at the finished gate. Definitely reminds me of architect Frank Lloyd Wright. 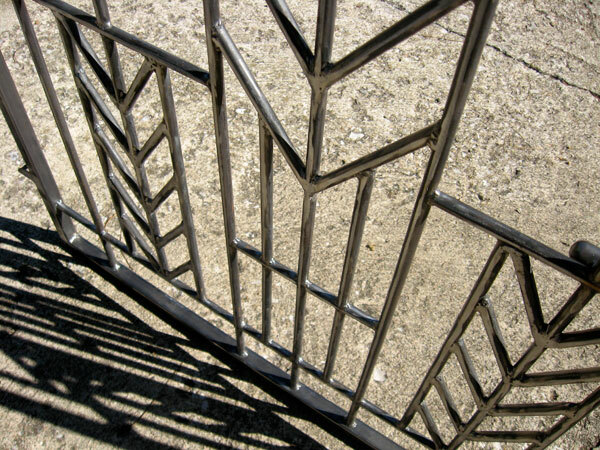 The gate is 36 inches tall by 40 inches wide and constructed of steel. The hinges and latch are very sturdy...able to take on the weather and lots of extra use.